Windows Vista and Windows 8 were not the crown jewels of Microsoft’s efforts and if the company wants to hit back hard on both the enterprise and mobile market, then it has to make sure that Windows 10 is going to be as clean as a whistle. However, we all know from past experiences that newly released software will always be accompanied by several bugs and other issues that tend to kill our positive outlook on these things. Since it is expected that Windows 10 is going to be last operating system, Microsoft plans on releasing a flurry on updates on day one of the platform’s release, which is going to be July 29 in order to get a more positive impression from the masses. 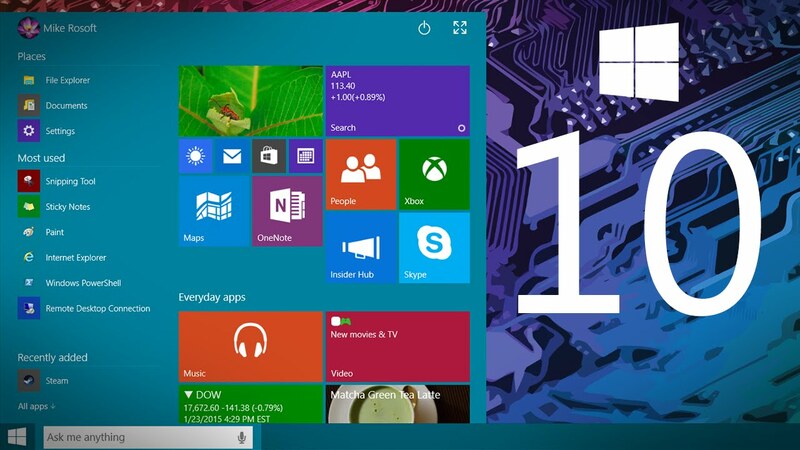 Alleged pricing of the Home and Professional versions of Windows 10 were leaked by e-commerce website Newegg, which stated that the products would be arriving on Aug. 31, 2015. If that leak happens to be true, it gives Microsoft a two month window in order to prepare to officially release its unified-interface platform, but the next few weeks are seriously going to test the resolve of the tech giant. This is because Microsoft will still be completing a process known as release to manufacturing (RTM) later this month. That RTM phase indicates will only give the firm a handful of weeks to get Windows 10 ready before the experience is augmented thanks to the release of patches and hotfixes. The latest build (10130) looks slightly better compared to the previous ones, but it is far from perfect. There are still reports coming in stating that the Start Menu does not respond, along with driver crashes, which is appalling, given the fact that the clock is ticking and problems still persist. While these can be dismissed at just minor bugs, one element that has maintained with the previous builds is that the nature of these issues have remained consistent. Fortunately, all of us can breathe a sigh of relief since Microsoft has landed in on the path top code completion. Windows 8 had a lot of fixes released on the first day of its release and you can rest assure that a large chunk of your time will be used up in downloading and installing Windows 10 updates. So far, the journey has been quite an arduous one for Microsoft, and for us but overtime, we do expect smooth sailing from the upcoming operating system.